Hello and welcome to Poetry Friday Roundup! It's always an honor to host this gathering, especially during National Poetry Month! Be sure to leave your link below. It's been a busy month for me so far, as I'm sure it has been for all of you! I'm currently in Montgomery, Alabama, where Charles Waters and I are presenting with other fine authors at Alabama Book Festival. So I will keep my comments brief! 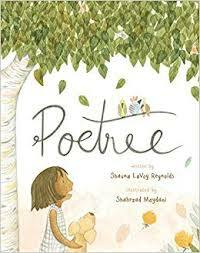 Have you seen the sweet book POETREE by Shauna Lavoy Reynolds, illus. by Shahrzad Maydani? A girl writes a poem to a tree... and the tree writes back! So, when I saw which piece of art was up for me to write about today in my ARTSPEAK: Happy! series (basically I just populate a file and write on them in the order they appear in the file to save myself any angsting about which piece to write about each day! ), I decided I, too, should write a poem to a tree. Before we get to that, click here Read why in my introductory post. Thank you so much for the comments on the series so far... you are helping me keep the happy juices flowing! Backstage after "Dancers in Green and Yellow" by Edgar Degas. Today's piece is "Olive Trees with Yellow Sky and Sun" by Vincent van Gogh. and herds of grazing goats. You say, shine on me! For the hungry, you drop fruit. shaped exactly like a smile. 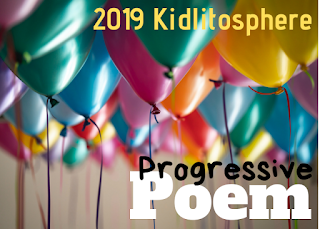 Be sure to visit Margaret at Reflections on the Teche for the latest line in our Progressive Poem! Such sunny contentment expressed by your tree, Irene. There is much we don't know, but more is being found about trees that are amazing. Of course we do know that sitting beneath a tree to rest is something very special. I do know about Poetree, but still haven't seen it yet. Thanks for hosting. Thanks for hosting, Irene! (I'll leave my link tomorrow when it's live.) 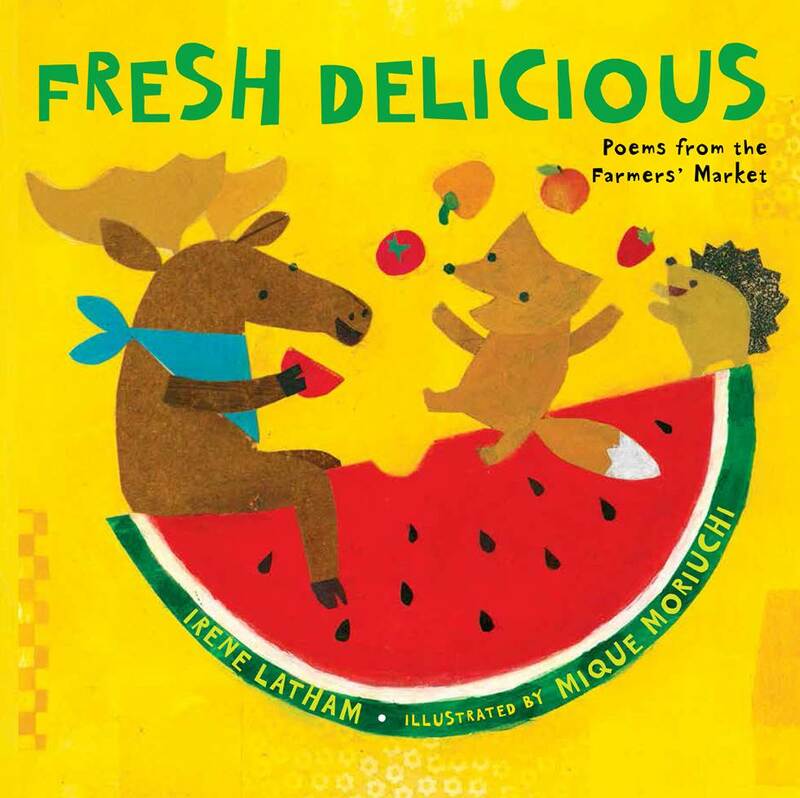 Your poem today reminds me of a trip we took to the Hunter Valley in Australia when the kids were very young. Our cabin was nestled in an olive grove and it was, indeed, happy-making. Such a comforting scene in happy yellow! I would also like to rest in that shade. Hearing you read your poem is an extra treat! shaped exactly like a smile." I am excited to go back and read some of your Artspeak poems to make me happy tonight. Another lovely poem and painting! The tree is so content and welcoming. Wish I could sit under it. I've heard good things about Poetree but haven't read it yet. Thanks for hosting and enjoy the book festival! Thank you for hosting, and thanks for sharing! Lovely and comforting, Irene. You must be busy getting these all written...I give you a lot of credit for being so prolific, so quickly! Thank you for hosting today, Irene. Love your olive tree poem. There is much peace in it, especially your closing lines: "I spread my quilt / beneath your limbs / and rest for a while." Good Morning, Irene! Give Charles a big hug for us and enjoy your time at the Book Festival! Thank you for hosting this week. It's a busy time for poets...isn't it great?! I love the twig shaped exactly like a smile. Such a wonderful line in your poem. Today I am sharing a poem from my month focus on metapoetry and results of the Poetry Pandemonium from my school. FULL results will be up as soon as I get home today. 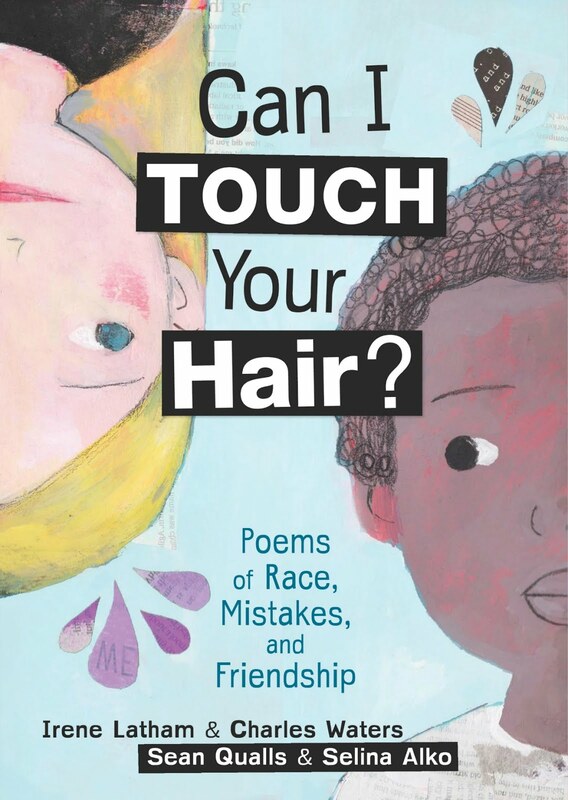 Thanks so much for all these lovely happy poems, and thanks for hosting! Here's what makes me happy: a poet sharing her happy olive tree gift in her cozy bathrobe! How could I be the only person to notice this? Maybe because I sit in my bathrobe each morning doing poetry too. Thanks for hosting, busy woman, and for the two views of poetrees. What a beautiful ode to a tree. 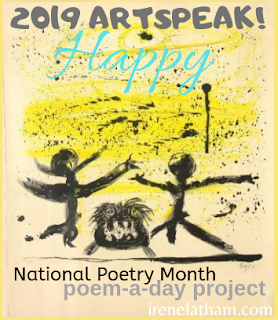 I've been enjoying your "happy" poems all month. Thank you for hosting this week! I love the twig in the shape of a smile! My grandgirl has recently been collecting twigs in the shape of letters "L" for her name, "T" for Tola her dog, among others. She's 3. I am SOOOO glad I watched your video today. It, like the balm that is oil from the olive tree, brings light, happy and a beautiful poem to start my day so thank you, Irene of the golden heart, the golden pen, the golden smile! Love your project. Happy Friday. Irene, have you noticed all the add links that are being inserted into the Linkz list?? When did this start? I love this project and your happy poet tree who is open and accepting to everyone. Thanks for all you do to promote and celebrate children's poetry. 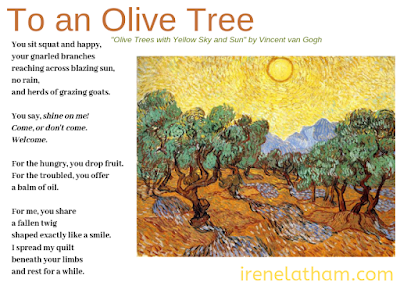 I'd love to spread a blanket and sit beneath your olive tree--such a happy tree, painting and poem. Thanks for bringing them all together for us to enjoy and for bringing us all together by hosting today. I'm glad to be back. Thank you for hosting, Irene. I have loved this series, your poems make me happy. I especially love hearing you read them. And today I loved learning a little about your process, that you just write about whatever picture comes up. I would love to know how you chose all of these pieces of art. 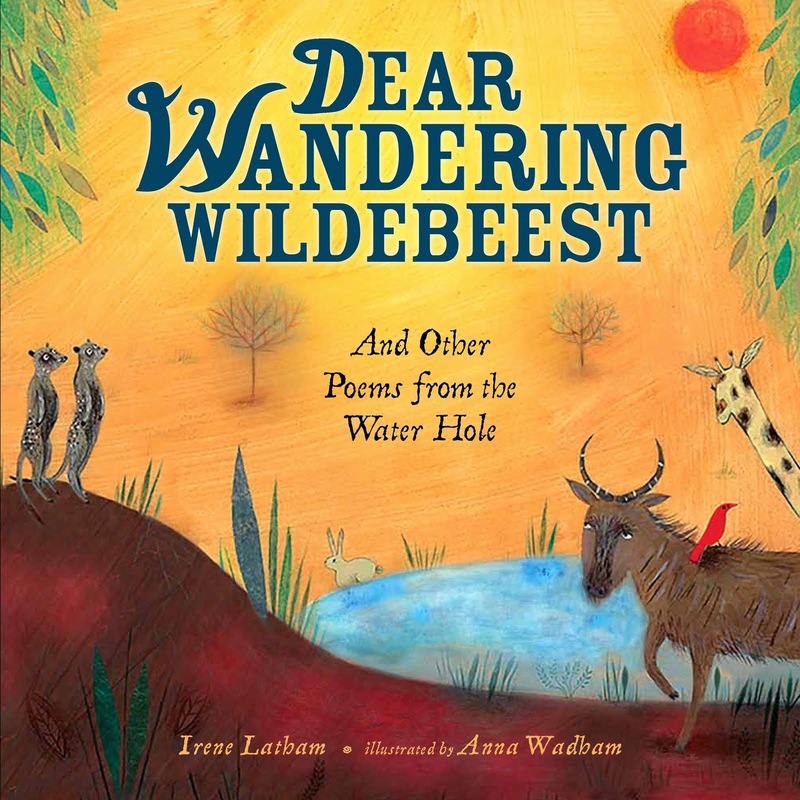 Thank you for hosting this week and for sharing your own poem. And I can't wait to get Poetree from the library when it comes in. Every time I read one of your poems this month, Irene, my spirits lift. I can't thank you enough for choosing to spread happiness. I, for one, have truly appreciated it. 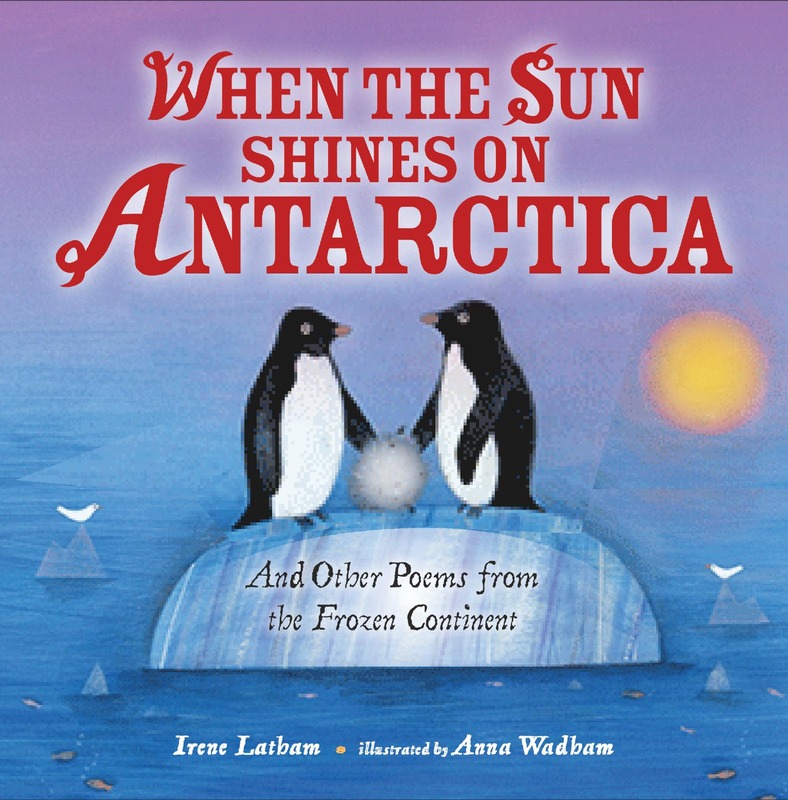 Today's poem is a delight, so peaceful and content. Thanks also for hosting this week and for letting me know about Poetree. 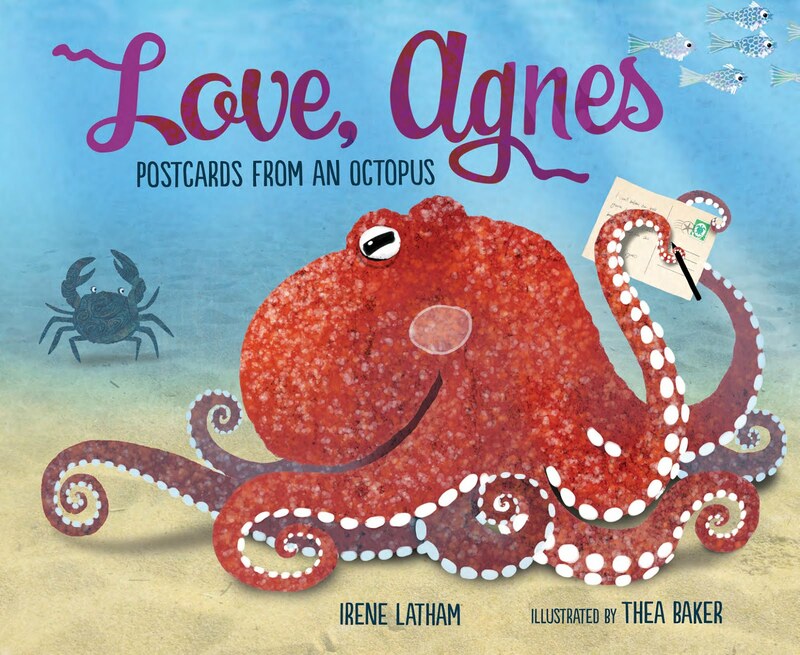 This is so lovely, Irene. I want to "spread my quilt/beneath your limbs/and rest for a while" beneath those olive trees! Thank you for hosting today! I associate so much w/ the olive: peace, as in offering an olive branch; complicated structure, as in the tangle of branches characteristic of the olive tree, and sacrifice, as in a biblical sense. I find your poem speaks to this in its images of nurturing: dropping fruit, for example. An olive tree takes me back to Italy. And I would love to rest under the quilt spread under your tree. Loved the recital in your beautiful turquoise robe. It's fun to see all the olive tree offers from its squat position and gnarled branches. Reminds us that we can all offer happiness to our world. Loving your poems and the art this month. 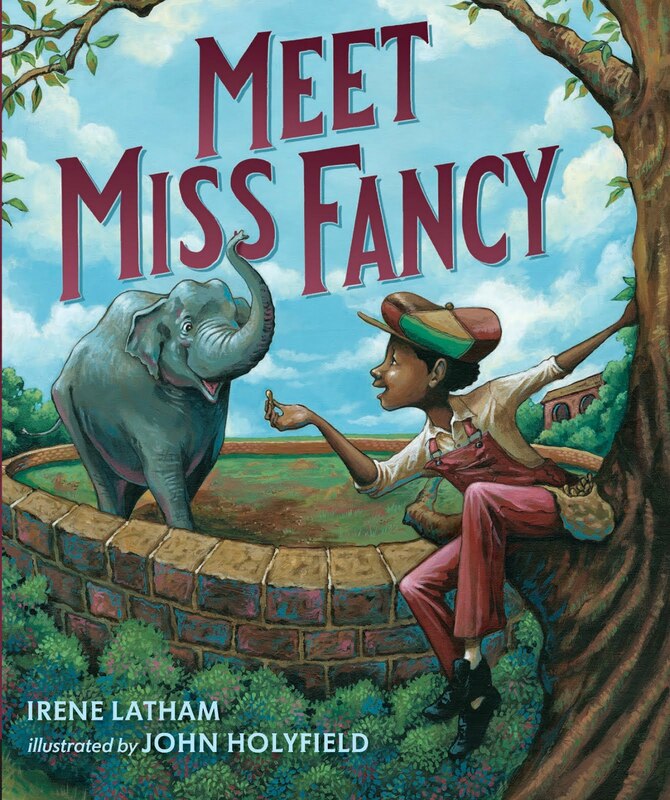 Best wishes to you and Charles at the Alabama Book Festival! I'm a little late to the party. How did Friday slip by? Irene, this poem brings peace and acceptance. I love the idea of sitting by a tree who has shared a branch shaped like a smile. So many beautiful words in this peaceful poem.